Adams Style Sconces with Restored Silver Plate Finish. 1950s George Nelson Herman Miller Thin Edge Rosewood Dresser Cabinet Restored! 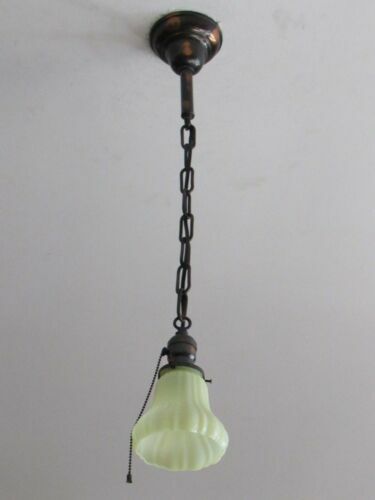 CRAFTSMAN or ARTS & CRAFTS RESTORED HEXAGON SHAPE LIGHT FIXTURE with HARDWARE ! CLASSIC! 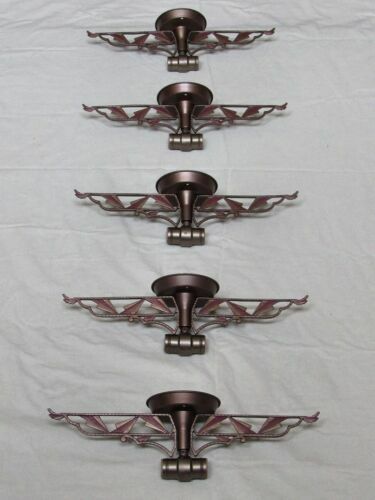 Restored Antique 1930s Virden Winthrop 3 Light Fixture PAIR Available!! Antique Vintage Ornate Brass / Bronze Drawer Pull Restoration Hardware 5 1/4"
Antique French Royal Crystal Baccarat Vanity Box Lily Flowers Ormolu 1840 2 5/8"
GORGEOUS! Antique 1930s Slip Shade Light Fixture Professionally RESTORED! Antique Japanned Light Fixture with LARGE Custard Vaseline Glass Shade Restored! ANTIQUE FRENCH PARIS PORCELAIN CUP & SAUCER,EARLY 19th CENTURY. CLASSIC! 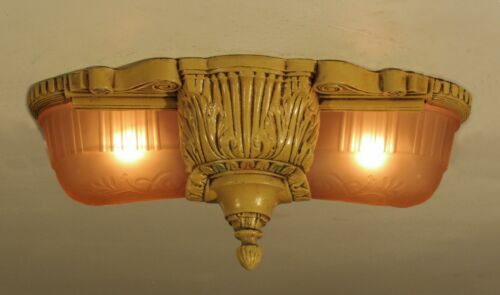 Restored Antique 1930s Virden Winthrop 2 Light Fixture PAIR Available!! Pair or More Available Antique LASALLE Two Bulb Light Fixture - Restored! GORGEOUS! Antique MARKEL Light Fixture Original Polychrome Finish - Restored! “AS IS” PAIR OF ANTIQUE METAL FLUSH MOUNTED LIGHT FIXTURES! NEED RESTORATION! PAIR AVAILABLE! Classic Antique 1930s Virden Winthrop Light Fixture - RESTORED! Antique Three Light Socket Cluster Fixture - Professionally Restored! Pair of Antique Vintage "Artolier" Brass Porch Light Fixtures - Restored! Antique Japanned Light Fixture with Vaseline Custard Shade - Restored! STELLAR! 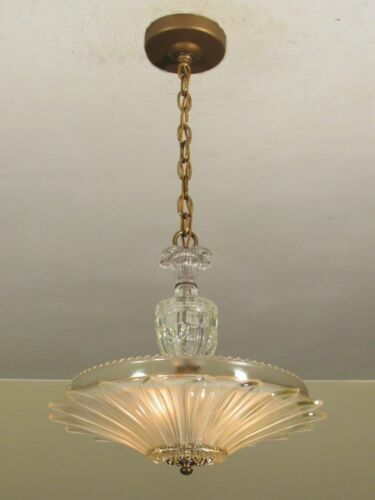 Antique Vintage Starburst Three Chain Light Fixture - Restored! 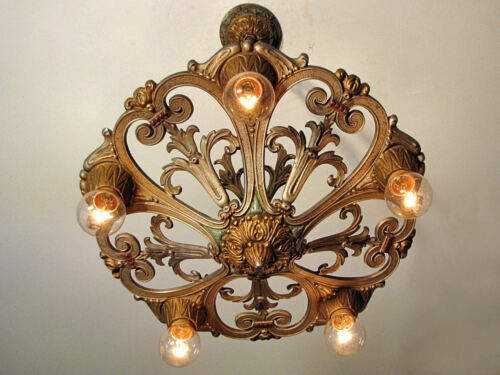 AWESOME Antique Porch Foyer Light Fixture - COMPLETELY RESTORED! SPECTACULAR! Antique ISCO Five Light Fixture - Professionally Restored! Classic Antique 1930s Virden Winthrop Light Fixture - RESTORED! 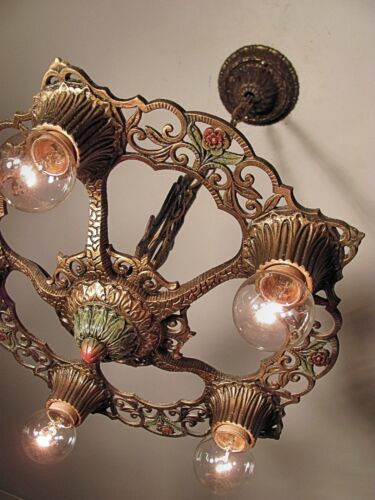 Antique Vaseline Swirl Light Fixture late 1800s Professionally Restored!